Navigation: Home > Columns > Musings of a Common Man > Are the sins of Jonathan being visited on Ochendo? Are the sins of Jonathan being visited on Ochendo? Given that I knew Chief Arthur Eze must have traveled to Umuahia through the Enugu-PH highway I called up my media friends who were at that event to verify the Sun version of the address presented by Chief Arthur Eze, especially since only Sun Newspaper (owned by the Governor’s estranged "godfather" and political adversary) reported that bit. Unsurprisingly, the two media friends, one from Lagos and the other from Enugu, stated explicitly that Sun Newspaper invented their title and story to suit their political agenda. 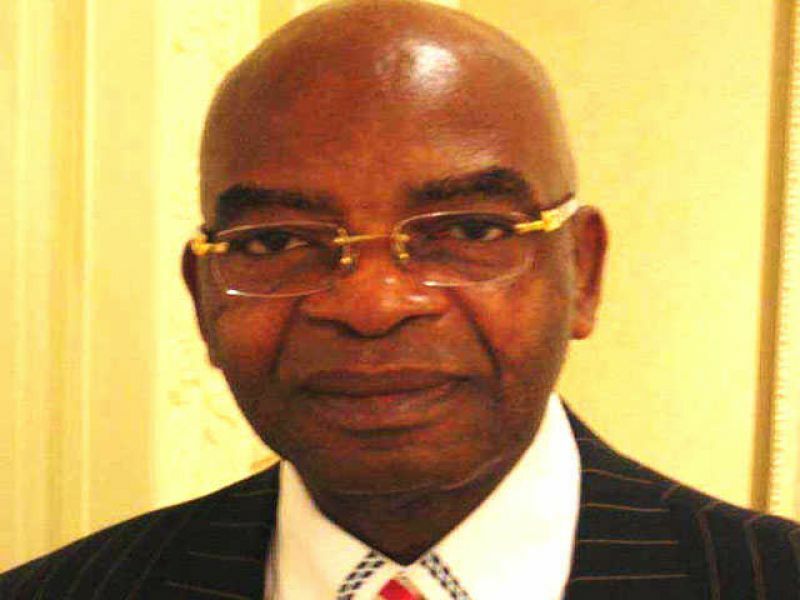 According to them, Chief Arthur Eze only complained about the state of the Federal roads leading up to Umuahia, Abia state capital. He never said or implied that "Abia stinks" or even made statements a conscientious and professional editor can honestly rephrase to represent that report published by Sun. One of them offered to send me a recorded version of Chief Eze's speech. They were also surprised that Sun came out with that story a full 6 days after the event. And most importantly, like me, they know that the stretch of state road from Abia Tower to the venue of the reported event is in good condition. While this piece is not intended as a review of media ethics, suffice it for me to say that whoever pays the piper still dictates the tune, even in the media. Chief Uzor Kalu must have set up his media empire to assist him in fighting his media wars especially now that his political fortunes are at an all time low with little or no chance of redemption in the foreseeable future. 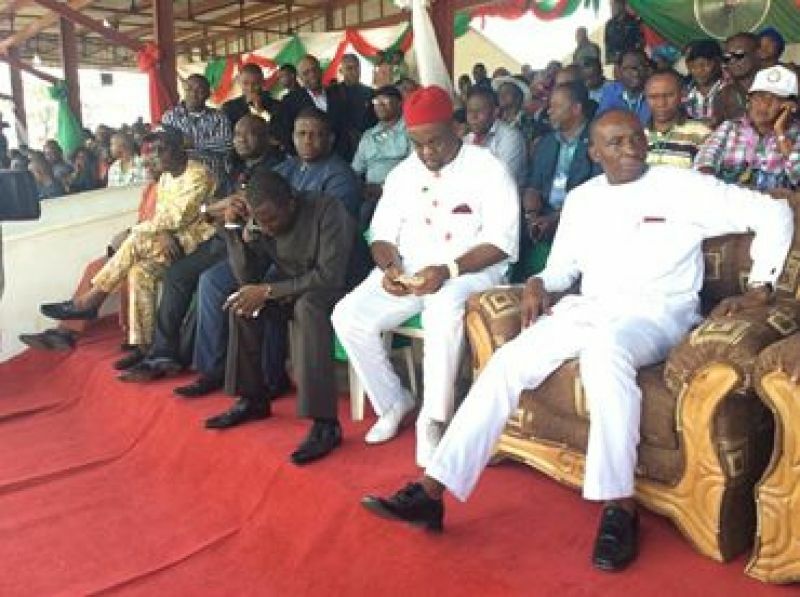 Of the five 1999-2007 class of South East Governors, Chief Uzor Kalu is the only one that has not featured in the political scheme of things at state or federal level since he left office. Achike Udenwa (Imo) was appointed Minister alongside Sam Egwu (Ebonyi) while Chimaraoke Nnamani and Ngige made it to the senate. OUK failed in his senatorial bid and no government has given him any appointment since then. He must be feeling politically lonely and unwanted. No wonder he has resorted to full deployment of his considerable mainstream and online social media “warriors” to fight the man he apparently blames for his misfortunes. Fair enough, since they said all is fair in love and war. Yet it is important to note that the only time Sun reports positively on Abia is when OUK is engaged in proxy negotiations with the incumbent for Abia North Senatorial seat PDP ticket which Dr Uzor Kalu covets more than anything, currently. Once such negotiations fail, Sun returns to permanent anti-Ochendo mode and the social media boo boys join the chorus. Even the latest report on Abia coming second for the second consecutive year in WAEC examination results will never be reported by Sun. Recently, a friend of mine who runs an online campaign promises fulfillment rating agency told me how he reviewed 2011 campaign promises by state governors and discovered that Abia state led by Ochendo TA Orji is number one in terms of percentage of delivered promises. According to him, he subsequently granted an interview to Sun newspaper and in the course of the interview stated that fact but was shocked when his interview was published and his statement was edited without his consent to reflect Kano State as the leading state. All I could say to him was; "that's Abia politics for you". There is no denying the fact that Aba roads are not in good enough state. They have not been since Mbakwe days. But one thing Sun Newspaper has not told their readers is that their publisher is a principal contributor to the state of things in Aba and possibly Abia in general. 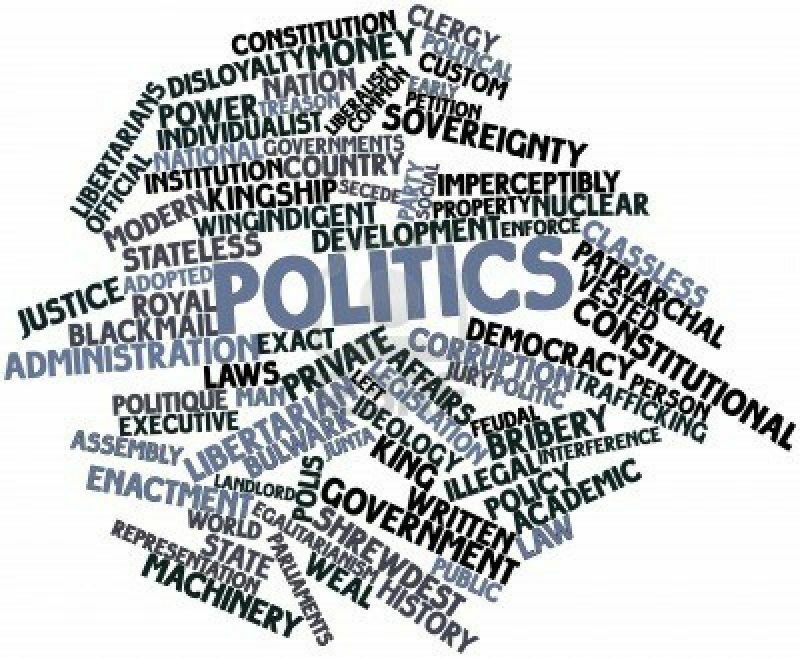 For 8 years that the "action" publisher held sway as Abia governor, he didn't lay any foundation for development of the state thereby forcing his handpicked successor to start from the scratch, albeit with his hands tied to his back initially. I have severally asked; are there roads or development projects Orji Uzor executed at Aba as governor for EIGHT unfettered years that TA Orji destroyed? We all know that a good road with adequate drainage should last at least 20 years. If OUK, as the publisher of Sun is called by his supporters, had done his fair bit of roads, Aba people would have been using them now. The few he "actioned" didn't last beyond 12 months because of the terribly poor job done by his contractors with zero drainage. These include Umuimo, Umuatako, MCC, Umuocham, Ngwa and Obohia roads. Residents of Aba can attest to the state of those roads even before he left office in 2007. One bridge even fell within six months of construction by our then “action governor”. If Aba stinks, it must therefore be the cumulative effect of the current and OUK’s regime’s failure to reconstruct the Aba drainage system to channel water (including waste water) to the appropriate places as designed in the original Aba master plan. And of course the residents must also be blamed for blocking the original drainage with wastes. It will probably cost as much as N100b to redevelop the Aba drainage system and save new roads from disintegrating within 12 months after reconstruction. The case of Milverton Road reconstructed by the current regime should be an eye opener. Somewhere between Young Shall Grow and Chisco luxury parks, the otherwise splendidly reconstructed road was split in two as a result of effluent water sipping through from a failed drainage system around CPS. It is also amusing that Abia state government house is still largely a rented property belonging to a private developer whereas OUK built his fabled “Camp Neya” resort home while he was governor of Abia state? If only he had built camp Neya replica as a government house in Umuahia Ochendo wouldn't have to build a new government house that is presently over 80% completed. The funds would have been channeled to other areas of need like Aba roads regeneration. I boldly challenge any Abian to show us one single road or project that OUK executed at Aba that is still usable apart from those Ochendo have reconstructed after his ‘liberation’. Yet Sun won’t let us bemoan our fate quietly without rubbing salt into our wounds with printing machines allegedly stolen from our state owned Ambassador newspaper, according to Prince Emeka Obasi. When I read the "open letter to Orji Uzor Kalu" by a former OUK commissioner, Prince Emeka Obasi, my first thought was that he didn't even do justice to the issues related to the locust years of the Sun publisher. How many Nigerians knew that at some point in the first tenure of Ochendo the banking group at Aba raised money to rehabilitate Faulks road that leads to Ariaria international market but couldn't do the road because a high profile mother wanted N67m as “gift” before permission can be given to go ahead? Before you scream "impossible" find out from Abians on the ground if it was even possible to do business at government house Umuahia in those days without approval from the Uzor Kalu clan led by “Mother Excellency”. Which should we report and leave the other? 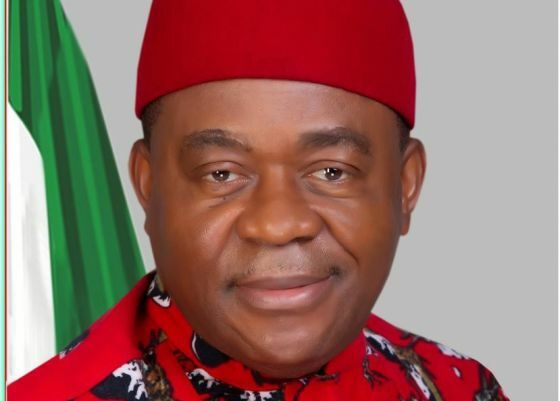 Well, since this note is not about OUK and his shenanigans, let us go back to the issue of how President Jonathan's administration is helping to give Governor Theodore Orji a bad name because of its failure to attend to issues of interest to Abians and Ndigbo. Sincerely, the only good road among those listed above is Onitsha-Owerri started by Obasanjo, continued by Yar Adua and the last 5kms or so delivered in 2010 under Jonathan. If those roads are to be used to measure the President's achievements in the south east of Nigeria it is fair to score him 20%. Whoever compiled that project list must be living in Abuja and have never been to the east. Those roads are mere death traps and unusable. And our people are dying in numbers. That brings me to the real story of Aba roads. There are three major entry and exit points at Aba. Unfortunately, all three roads: Aba-Owerri, Port Harcourt and Ikot-Ekpene roads are designated as Federal roads. And all three are in serious states of disrepair. Incidentally they are also the major roads that visitors to Aba must pass through. The ugly states of these roads also extend to the highways linking them such as the Aba end of PH-Enugu highway and Aba-Ikot Ekpene highway. When most visitors pass through those roads, they abuse the governor without remembering that they also voted for the President. 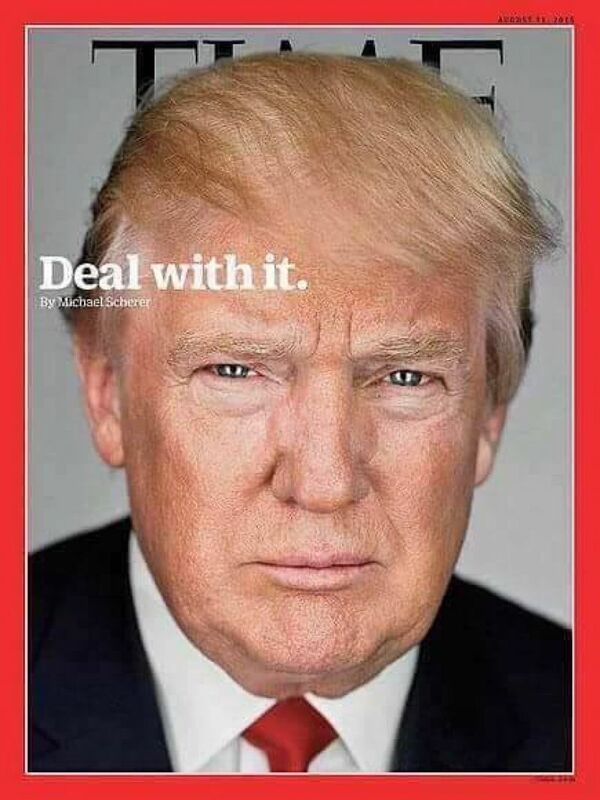 In fact if anyone deserves abuse for the state of those roads, it is the President. Last year I was so worried about these key roads that I approached a friend working with the state government to ask why the state didn't take over those roads and fix them for the sake of our people. He patiently explained the required process that included express approval from Federal Ministry of Work and capped it with information that they actually did apply but the approval is yet to be gotten. If the Federal government will not fix the roads they should at least give approval to the state to use Abians money to do the job with or without refunds. After all Anambra state enjoyed similar benefit with respect to Upper Iweka-Headbridge road. Also one key reason visitors see a good looking Owerri is the fact that the major entry point to Owerri from Lagos which is a Federal road is in good state. Nobody will bother to ask if it was the state of federal that constructed the road. Good is good. Naturally one will expect that since President Jonathan received over 98% of the votes of Abians and our Governor is a known loyalist of the President we should at least have some benefits. Unless it is actually true that the President takes Igbo votes for granted knowing that we won't be caught dead in bed with the same opposition party and people who murdered thousands of Igbo in cold blood after 2011 election and have continued to support an Islamic terrorist group through words and may be actions too. If that is the case, I have bad news for the president and his handlers. If nothing is done about Federal roads in the east, including Aba federal roads, I will personally link up with like minds to mobilize Igbo youths to vote for APGA even though APGA will likely not field a presidential candidate. The implication is that we will be casting a protest vote, albeit wasted votes. If the President wins without our votes, we will live with it given that our 2011 votes didn't give us any dividend apart from Enugu international Airport that ended up costing us Princess Stella Oduah's job. Conversely, if his opponents win, we will still live with it knowing that nothing good can come to us from the Janjaweed party of Nigeria. Our people might have to resort to self help and set aside days to fill the portions with stones through town and market unions. It is a well known fact that successive governments in Nigeria don't really care about us. May be it is also time for our governor to review his support for Mr President. It is on record that beside the state of Aba roads Ochendo Global has done very well as governor. He has not only stabilized the state politically and socially, he has secured lives and properties to a large extent. Abia is possibly the safest state in the old Eastern region. Our WAEC results reveal a sound education sector with an active school renewal project that has led to construction of new schools and reconstruction of many more. Private schools in Abia are actively being monitored for compliance with best standards and for the first time in known history, abia students are receiving state bursary awards. Each time I pass through Aba-Owerri road and see the new structures at Abayi girls secondary I ask myself what it would have been like in Abia if Ochendo was allowed to govern without mamacratic handcuffs in the first four years. Abia teachers are happy and even the non indigene workers that were laid off are being recalled to contribute their quota to the only Igbo state that truly belongs to all Igbo. Even some key roads in Abia were worked on his watch: Azikiwe Road, Brass, New Osisioma Geometric Road, crescent road, Obikabia road, Saint George's, our lady of lords, Danfodio, etc. 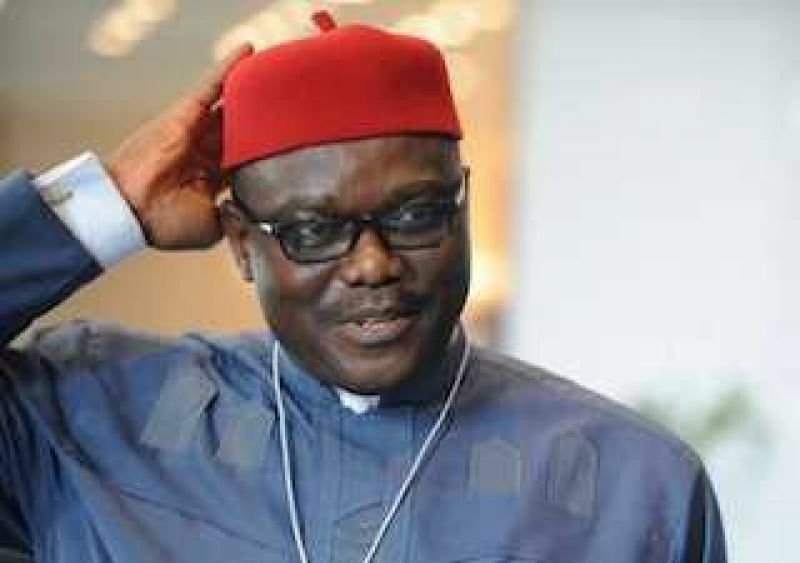 Ochendo has also committed to ensuring the emergence of a new governor from the Ukwa-Ngwa axis to give our brothers of old Aba division a sense of belonging in the state. And of of course reduce the cost of governance in Abia. Apart from the new government house under construction, there are many legacy projects littering Umuahia: new twin structure edifice state secretariat, second to none International conference centre, ultra modern e-library which is the first of such facilities in Nigeria with an ”idea hub” to unleash the genius in Abia youths and residents, state of technology diagnostic centre. and many more development initiatives that people are not talking about. Beyond that, he has also spread development projects to almost all communities in Abia. Unlike what we saw in the immediate preceding regime, Abians are indeed free to speak out without fear of assassination or adverse government sponsored actions. Most of those who have found their abusive voices now have forgotten so soon that they were writing with pseudonyms under OUK's regime. Yet Ochendo is a listening leader. I have it on good authority that following the recent outcry from Aba residents on the state of roads occasioned by persistent heavy rain fall, he has set up a committee to identify and execute emergency repairs of selected roads at Aba from November this year when the rains must have abated. As I was driving out of Aba today, I noticed that some of the roads are already receiving emergency attention prior to full rehabilitation in the dry season. Of course Ochendo will not solve all the problems with Aba, no single government can solve all the problems of a people. The incoming regime will have the opportunity to focus on Aba for at least the first four years. Given the topography of Aba, there is the need to develop a "new Aba" while renewing the "old Aba. In doing so, Ariaria, Ahia ohuru and Cemetery markets need to be moved to Osisioma and Ogbor Hill areas with government supported new residential quarters development. If need be, Obuaku project abandoned by OUK’s regime after acquiring communal lands, should be revisited and converted to a “computer market” to form the hub of a new ICT zone similar to silicon valley in California. Once the basic facilities are put in place, Aba people, known for their entrepreneurship will do the rest. Chief Arthur Eze, and indeed any Igbo man who uses Enugu-PH highway have every reason to be angry about the state of that road and other federal roads in Igbo land. There appears to even be some conspiracy against Abians because the stretch of road gets worse as you get closer to Abia and better as you leave Abia. My only concern with Chief Arthur Eze's obviously twisted comments on the bad road is that Chief Eze was the first Nigerian to endorse President Jonathan for second term. What exactly did he see or get before making that hasty endorsement? Surely the Federal roads around his village, Ukpo in Anambra state are worse than what he saw along Enugu-PH highway. My worst recorded driving experience was about 3 weeks ago while driving from Onitsha to Enugu. Just before Unizik temporary site junction at Awka there was massive traffic build up and as someone who spent 4 years at Awka, I made a detour on the left to use inner city roads and bypass the build up that was caused by over flooding of the bad portion of the federal road. It was a mistake. I got to the road that should lead me back to the highway and encouraged my driver to continue “swimming” on the flooded road since we were using a high ground clearance SUV. We managed forward, even as I noticed that water level was getting close to the door window of the other SUV with us. Since retreat will also be a disaster we continued and made it in sufficiently bad condition for me to notice immediately that all the materials in the trunk were soaked and the vehicle itself smelled. We slept at a hotel at Awka that day. But I knew that inner city road was messed up by the state of internal drainage and the terrible Federal road that is delivering flood water from the neighboring highway. Please don't expect me to say Awka or Anambra stinks because of that experience. But I can assure you that unlike Chief Arthur Eze, I will blame the Federal Government led by "our" Goodluck Jonathan. We voted for him so that our lot as a people will improve. Not so that he will renew oil license for one or two and “appease” a few others. Our rivals are getting oil licenses, appeasement and development projects for even less support. I make bold to state that if Arthur Eze had made rehabilitation of Enugu-PH highway and other South East roads a condition for endorsement of President Jonathan, he won't have the "stinking" experience he had last week along Enugu-Port Harcourt Highway. What he does not even know, probably because he has” wings” to fly most times, is that other Federal roads in the east are worse than the one he used last week. Aba-Ikot Ekpene highway no longer exists as a road and even Umuahia-Ikot Ekpene is for the suicidal to ply. Same with Umuahia-Ohafia-Arochukwu federal road. And yet Chief endorsed Jonathan since 2011 and has been shouting "Jona Jona Jona" everywhere without extracting something for Igbo masses. His recent statement in March after visiting Aso Rock should now haunt him. His words: “… Jonathan is our brother, God gave him power and anybody fighting him is fighting God, the person will perish and I don’t want to perish. He was in his village and God sent for him and gave him power”. 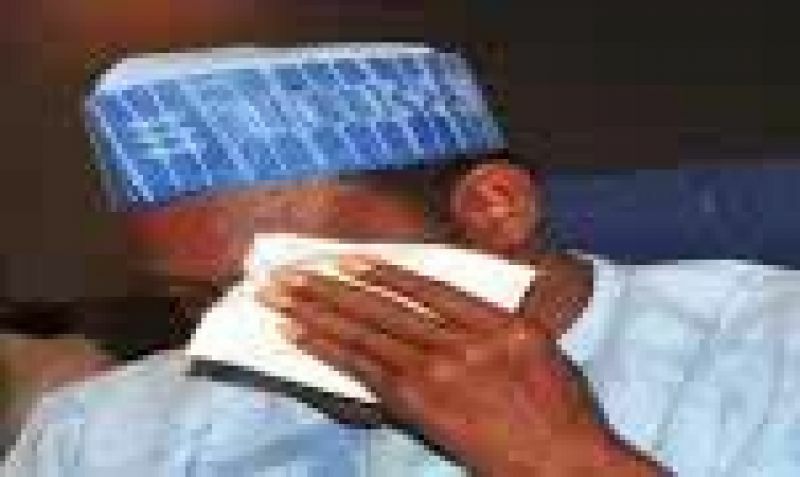 You didn’t even negotiate for us to get good Federal roads and yet you want us to give a blank cheque to Mr President? Didn’t you know then that we had “stinking roads”? Could it be that your “fighting God” comment stopped our Governors and leaders from demanding that the President fixes our roads as promised in 2011 before we can deliver votes to him in 2015? Ihulanu ihe imere onwe gi na anyi? (Have you seen what you have done to yourself and us). Given the level of access Chief Arthur Eze purportedly has, this is the time for him to tell Mr President the truth. Aside from the Owerri-Onitsha road completed by Yaradua/Jonathan regime in 2010 all other Federal roads in the south east are death traps and they “stink”. If someone listed the above roads as ”fixed”, Mr President should collect back his money from the "fixer". Just like Chief Eze, I am a massive fan of President Jonathan and wish him well in the battle against jihadists and the power cabal of Nigeria. But since every good politics is local, I will vote for him only if my homeland stops "stinking", ala Sun Newspaper. If he doesn't do something about those roads between now and December 2015 I will personally vote APGA or UPP and mobilize many more Igbo voters to do same. 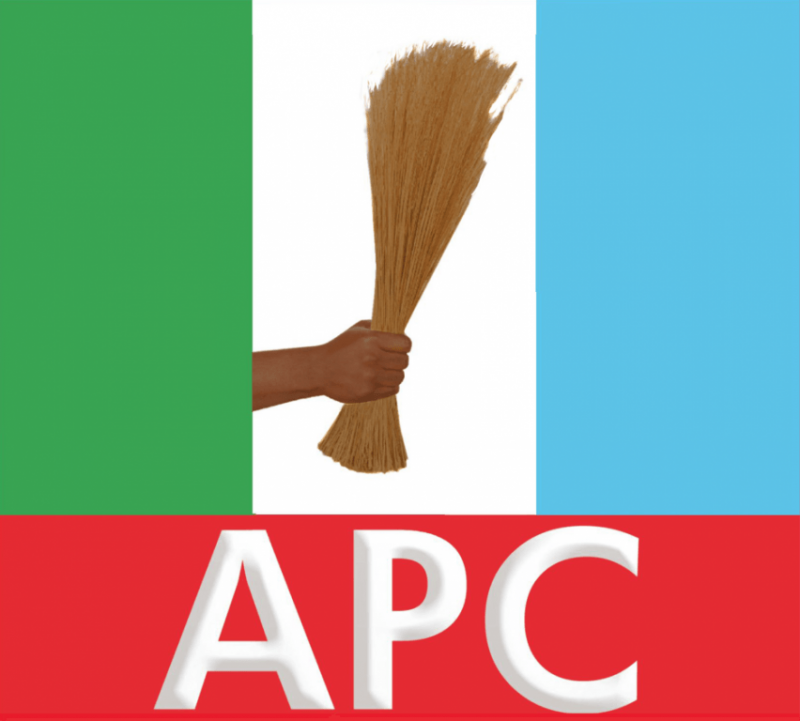 APC is not an option since Rochas and others like him can only pray to be appendages (VP) in that political contraption created strictly to return power to the north whereas the south east is yet to ‘taste’ same power. Surely Igbo votes cannot be taken for granted again. Our elders have deceived us enough. Either they negotiate something tangible with verifiable milestones before 2015 or they risk ‘stinking’ electoral misfortune that will compel them to return whatever they took on our behalf. 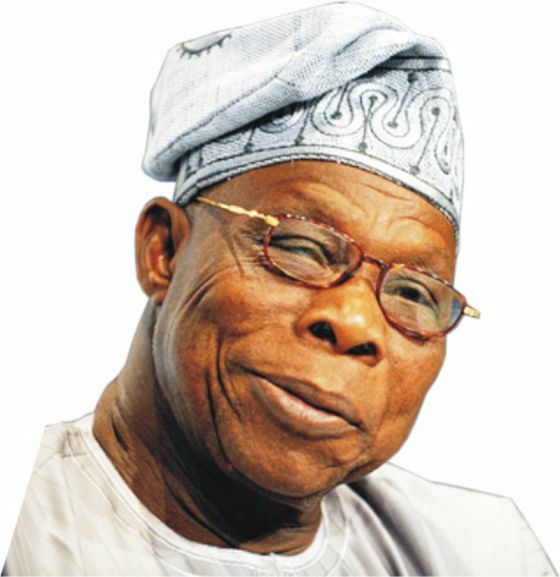 Obasanjo: The big political masquerade?